“To know the road ahead, ask those coming back,” goes an ancient Chinese adage, which still rings true for the aspiring traveller armed with her camera, a smartphone and a carefully devised itinerary planned with the help of reviews. Domestic travel numbers have continued to rise over the years, and with the advent of social media, the trend is to pick up on holiday recommendations made by your friends, family and a bunch of well informed influential travellers on the social web. User reviews of the place, the hotels, the food, the culture, coupled with personal experiences of nirvana, culinary or otherwise, have almost taken over the decision making of most discerning travellers today. Curating all holiday reviews at one place is one of India’s largest travel community and holidays review platform, HolidayIQ. The platform claims to have a wide number of reviews from places where no one else has any information. And that is precisely where the brand is helping build content about lesser known places. “Travel is increasingly becoming a social and community driven activity. Information and experiences travellers share as reviews serve as holiday inspiration and a resource for tips to a very large audience,” HolidayIQ founder and CEO Hari Nair said. “At HolidayIQ, we are already India’s largest travel community and we are on our way to building India’s most engaged travel community,” he shared about the platform’s content-driven, community-focused campaigns like the recent ‘#ChaloMpWithHolidayIQ’. This November, HolidayIQ chose five travel aficionados for an all-expense paid trip to the ‘Heart of India’ – Madhya Pradesh, as part of its initiative ‘#ChaloMpWithHolidayIQ’ in partnership with Madhya Pradesh Tourism. They covered eight cities in a span of seven days via two circuits. The first circuit comprised Gwalior, Datia, Chanderi and Orcha while the second circuit covered Khajuraho, Panna, Rewa and Parsili. The two circuits were strategically chosen to make sure that the travellers get a chance to visit heritage sites, wildlife, nature, religious destinations and the famous water bodies. He added that HolidayIQ is the only travel player to take this up by providing a platform for travellers to share reviews as ‘our view on this is that tourism is an amazing wealth that we have and there is no reason why it should be limited to just Khajuraho, Gwalior while there are many more emerging destinations’. Moreover, the travellers were also carefully selected based on various parameters including their travel quotient. “These travellers are from the HolidayIQ community and were chosen based on the number of quality reviews written on HolidayIQ. From these five travellers one traveller was chosen through an online contest done on our Facebook page,” Nair informed. Lakshmi Sharath, Hrish Thota, Nivedith Ganapathy, Ruby Singh are the chosen ones who after having completed the circuit around MP, have helped HolidayIQ generate more images, reviews and video reviews about these lesser known places. HolidayIQ sees over 12 million visitors a month, who leave over 200,000 user reviews on the site every month, up from just 5,000 two years ago. And Nair’s goal is a million reviews a month, he shared in an interview with NDTV while discussing the travel company’s keen focus on content. For the content-driven company, having been founded as a one-stop platform for traveller reviews way back in 2004, HolidayIQ is well on its way building the most engaged travel community. The chosen ones for #ChaloMPWithHolidayIQ have collectively helped generate a rich repository of blogs, pictures and video reviews about the places on their circuit, and in their trails, left behind plenty of inspiring visual stories about even lesser known places like Chanderi, and helped bust popular opinion about world famous places like Kajuraho. 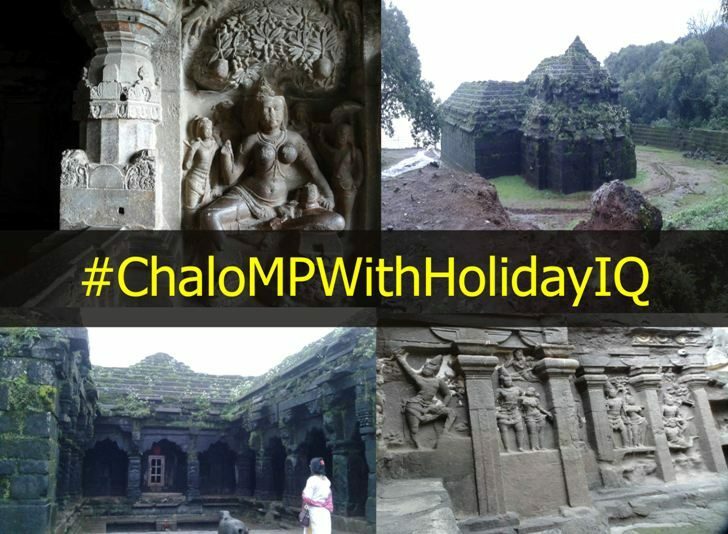 #ChaloMPWithHolidayIQ is not just a way to grow traveller reviews on the platform, but also inform and inspire more tourism in the heart of India – MP.